Reishi Mushroom (also called Lingzhi Mushroom and Ganoderma Lucidum) is an edible fungus that improves the immune system. It is used to prevent and treat influenza, avian flu, swine flu, bronchitis, asthma, allergies, hypertension, hypercholesterolemia, cancer, peptic ulcers, insomnia, liver disorders, kidney diseases, AIDS. It is also helpful for reducing stress, fatigue, altitude sickness, and herpes pain. 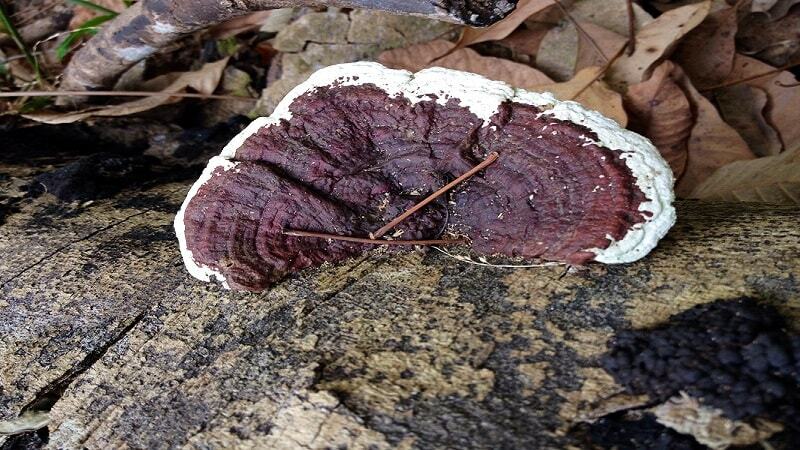 Reishi Mushroom has following healing properties. Reishi Mushroom has anti-inflammatory, immunity enhancer, antioxidant, anti-tumor, anti-cancer, anti-fatigue, anti-osteoporosis, neuroprotective, and anti-diabetic actions. Its main action observed on stomach, intestines, lungs, liver, heart, immune system and mind. Reishi Mushroom reduces inflammation, increase energy level, and improves overall health and general well-being. Generally, its health benefits are attributed to its antioxidant, immunomodulatory and anti-microbial actions. It slows the process of aging and helps to have a good control on blood pressure and other diseases. Reishi (Lingzhi) Mushroom improves sleep. The improvement in sleep can be observed within 3 days of its use. In traditional medicine, it is used as soporific (sleep inducing) and tranquilizing agent for the treatment of the sleeplessness or trouble sleeping. It induces relaxation, reduces sleep latency, and increases overall sleep time. Reishi mushroom is available in the form of dehydrated powder (also called crude dried mushroom), ethanolic dry extract, water extract, and tincture. The yellowish red portion of reishi is bitter in taste, so it is not used as food. As a food, its white outer edge is cooked like other vegetables and eaten in moderation. It has a meaty taste. In high amounts, it can cause stomach upset. The general dosage of dried Reishi mushroom powder is as follows. Best Time to Take Reishi: After food; It is also taken on an empty stomach, which can cause stomach upset in some people (especially when taken in high dosage), so it is the best to take it with food or after food. Note: The dehydrated reishi mushroom powder is also called “basic extract”, which is 10 times more potent than fresh reishi mushroom because the water content is removed. Therefore, the dosage of fresh reishi mushroom should be between 10 to 30 grams and can be maximum up to 90 grams per day wherever required or as a food. Dosage described here is for the tincture prepared using 5:1 ratio i.e. 5 Parts Alcohol (100 Proof) and 1 Part Reishi Mushroom Powder. The general dosage of Reishi Mushroom Tincture is as follows. When to Take: Generally, suggested taking it before a meal. When it is used in high dosage, it should be taken after a meal to avoid digestive upset. Adjuvant: It can be diluted in water or juice. Otherwise, it can also be taken putting directly under the tongue. Diluting it in water is the best way to consume Reishi Tincture.